Now is the time to review your surface water charges. Does your business have sites in the North West? then now is the time to review your surface water charges – you could be due a substantial refund! If your business has sites in the North West of the UK in the Water Plus (United Utilities) area then you will be paying for discharging rain water that lands on your property. The charges levied are called surface water and highways drainage charges. The charging bands start at Band 1 with a chargeable site area of up to 124m2, the total annual charge including highways drainage charges is £142.91 per year. Midway say Band 8 chargeable area 12,000 – 17,999m2 total annual charges £23,939.99 per year, right up to large sites on a Band 15 with a site area of 150,000 or more total annual charges £259,358.53 per year. 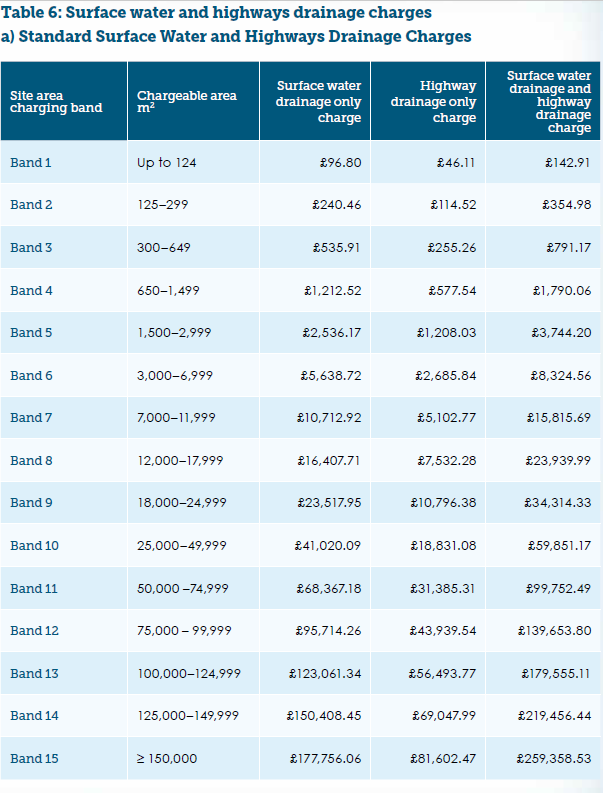 In a proportion of cases the surface water drainage charges can be more than the metered water and waste water charges. H20 Building Services a leading UK water consultancy based in West Yorkshire has been in the business of reducing clients water and waste water charges for over 20 years, one of the areas of expertise is reducing the surface water drainage charges. H20 Building Services water audit department are reporting approval from their clients water retail company Water Plus for a refund as their client was billed for surface water drainage charges based on a site area band charge of Band 7, site area 7,000 – 11,999m2 annual charges £10,712.92. This has now been reduced to a Band 6 site area charge 3,000 – 6,999 annual charges of £5,638.72, resulting in an annual saving on surface water drainage charges of £5,074.42 per year and a 6 year refund estimated at £27,000. The North West – Water Plus / United Utilities. The North East – Wave / Northumbrian Water. The Midlands – Water Plus / Severn Trent. Water consultants achieve public sector water savings of £21,000.